Excitement as usual at Rezium Studios! As many of you already know, “Super Indian Volume One” is now in it’s second printing. The books just arrived from our friends at A&K Printing Co. here in Los Angeles and they are stunning! The second edition will be available on Amazon.com shortly — more on that when it’s a done deal. Arigon Starr is traveling to Milwaukee, Wisconsin tomorrow to attend the 20th Annual Returning the Gift Convention. 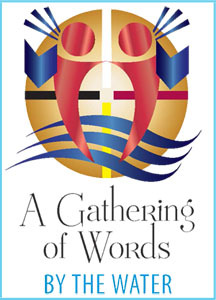 Held at the University of Wisconsin at Milwaukee in the Hefner Convention Center, the conference will be attended by hundreds of Native American writers from around the country. Lee Francis IV of Wordcraft Circle made sure to add a “Natives in Comics” panel to this year’s gathering. Arigon and Lee will talk about the history of Native people in comics and how to adapt your writing to the comic book/graphic novel format. Both Lee and Arigon are really entertaining speakers — so expect a lively panel with lots of laughs, insight and education. If you want to attend the panel, you need to register for the “Returning the Gift” conference. More information is available on their website at Yukhika-lathuse: She Tells Us Stories. More information available on the Indian Summer Festival website. Arigon will also be receiving the Lee Francis III Memorial Award/Wordcrafter of the Year honor at the annual Wordcraft Circle of Native Writers and Storytellers Award ceremony on Friday, September 7th. She promises to pack a few copies of “Super Indian Volume One” in her bags (along with her guitar) — and the brand new “Indigenous Narratives Collective #0” mini-comic. Next Native American Times – Super Starr, Super Indian!